The General Director of CRTV, Charles Ndongo; may soon to be imprisoned in the central prison of Kondengui? In June 2014, Nzié Onana Bertin, a teacher and former supervisor of Snec (National Water Corporation of Cameroon), had published in some newspapers a “citizen contribution” which made revelations about the qualified management of a grocer Of the ex-Snec by his former provisional Administrator Basile Atangana Kouna “accused of ultra Pharaonic expenses”. Citing examples of the crazy expenses incurred by Snec at the time headed by the current Minister of Mines, Water and Energy, Snec’s former supervisor reported “fees paid to consultants Like Charles Ndongo and Roger Tchoungui, some of whose collaborators at Basile Atangana Kouna considered the benefits unjustified for the most part, In any case not sufficiently necessary to be remunerated in millions of CFA francs “wrote Nzié Onana Bertin. In May 2016, two years later, an article in the newspaper Kalara revealed that Basile Atangana Kouna, summoned by the judicial police of the Special Criminal Court, was heard on the premises of the Ministry of Justice on his management of the ex- Snec and Camwater. A year later, this case concerning the controversial management of the ex-Snec and Camwater, is experiencing a new rebound. 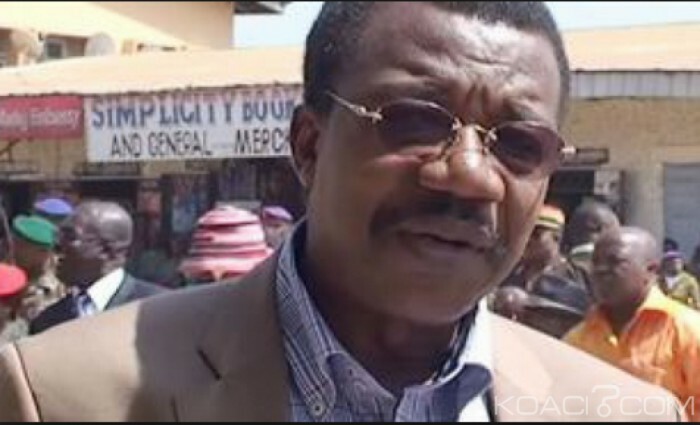 The famous journalist Charles Ndongo, recruited as a consultant by Basile Atangana Kouna then provisional administrator of the ex-Snec, and then director-general of Camwater, was heard last week by investigators. According to Boris Bertolt, the current Director-General of the Crtv is suspected of having touched, Under Atangana Kouna, millions of FCFA as a provider without this being justified. 3 / Charles Ndongo, brigade chief of special reports at the time of the events, has fulfilled his contractual obligations and it is he who still claims the remainder of his fees, explains our colleague in service at the Crtv.